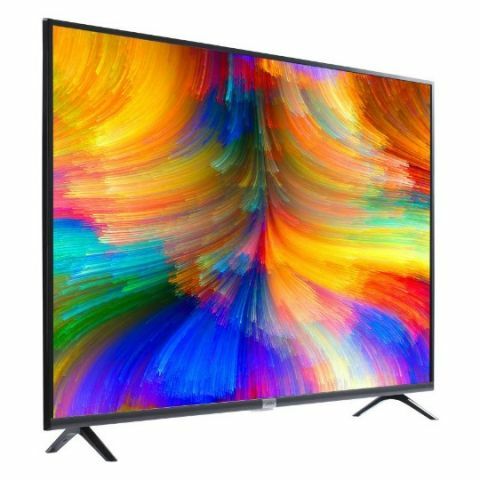 The iFFALCON 32F2A TV is priced at Rs 14,999 but it will be available during the Flipkart’s Big Billion Day sale for Rs 13,499.
iFFALCON has announced the launch of its new 32-inch HD ready TV, the 32F2A, which will be up for sale during the upcoming Flipkart Big Billion Day sale. The company's new device is a Google-certified Android TV, which runs on Android Oreo. The TV is priced at Rs 14,999 but it will be available during the Flipkart’s Big Billion Day sale for Rs 13,499. In a move which will disrupt the Indian smart TV market, iFFALCON, the exclusive India-centric smart TV brand from global top-three TV manufacturer TCL Electronic Technology, is gearing up for the market launch of the iFFALCON 32F2A, the world’s first 32-inch, HD-ready, Google-certified Android TV with an AI assistant. Operating on Android 8 Oreo and equipped with several innovative features, the iFFALCON 32F2A will be exclusively available on Flipkart with INR 14,999 and will be a part of the platform’s Big Billion Day sale – at a festival special price of INR 13,499! The iFFALCON 32F2A is designed for unmatched large-screen entertainment and ultra-high definition picture clarity, and comes with top-of-the-line features such as IPQ engine, Micro Dimming, Dolby Surround Sound, Google Chromecast, and white LED HD backlight. The iFFALCON 32F2A also comes with an in-built Google Assistant, the AI-powered virtual super-assistant from Google, allowing users to access entertainment, search for information, and control other connected device across their home with just their voice. By making such best-in-class technology available at the cost of a non-smart TV, iFFALCON is giving Indian customers access to true value-for-money options to meet their smart entertainment requirements. The launch of the 32F2A will also put iFFALCON well underway to become the first smart TV brand with a full range of Google-certified Android TVs and further consolidates its technological superiority within the Indian smart TV market. As part of the first wave of its latest product launch, iFFALCON will also introduce two large-format, 4K/UHD Google-certified Android TVs during the Flipkart Big Billion Day sale. The 65-inch iFFALCON 65K2A will be launched at 69999 with special festival priced at INR 64,999, while the 75-inch iFFALCON 75H2A with Harman Kardon speakers will launch at 169999 with specially festival be priced at INR 1,49,999. The brand will follow this up with the launch of the iFFALCON 40F2A and the iFFALCON 49F2A in the last week of October, around the festive season of Diwali. So what are you waiting for? Stay tuned for updates about the iFFALCON 32F2A on the Flipkart Big Billion Day sale and get ready for your introduction to an ‘Incredible Smart Life’ at an unbeatable price!